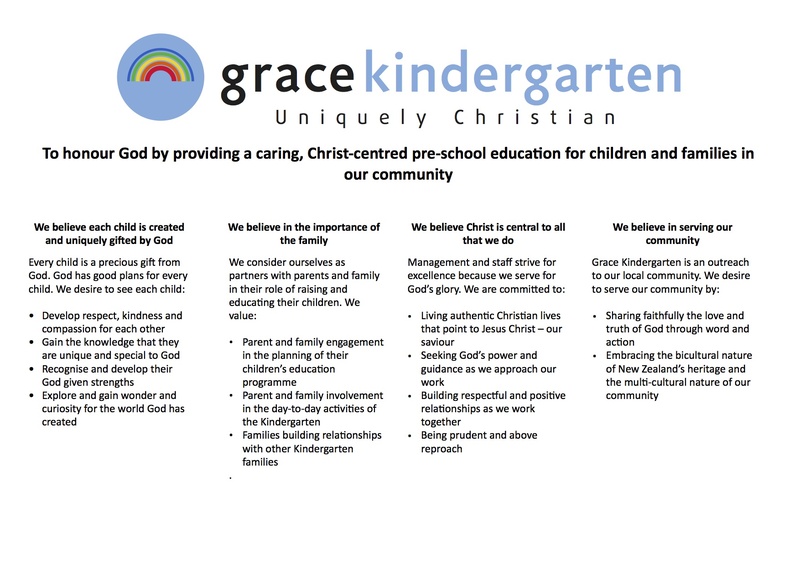 Grace Kindergarten provides quality early childhood education, based on Christian principles, in Ngaio, Wellington. We enrol children aged 2.5 to nearly 5 years, supported by 3 full-time and 1 part-time teacher. Our families come from a range of suburbs and backgrounds across Wellington’s Western and Northern suburbs and do not need to be Christian to enrol. 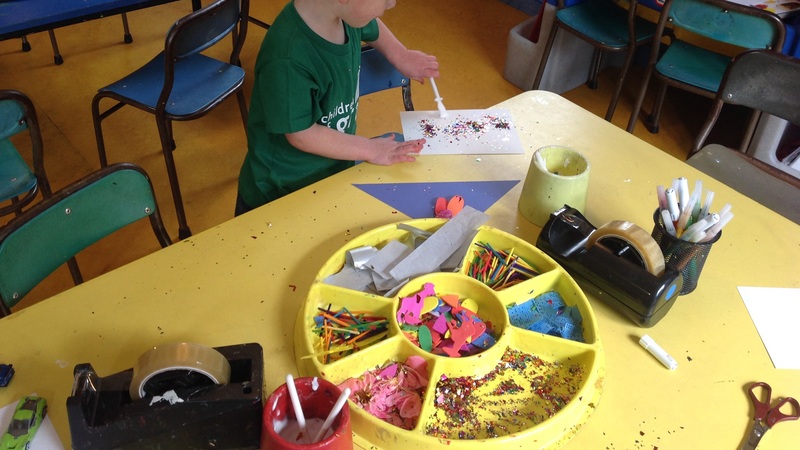 The structured times include music and movement, art, storytelling, games and extension activities. Children sit down together with the teachers to share morning or afternoon tea and lunch. 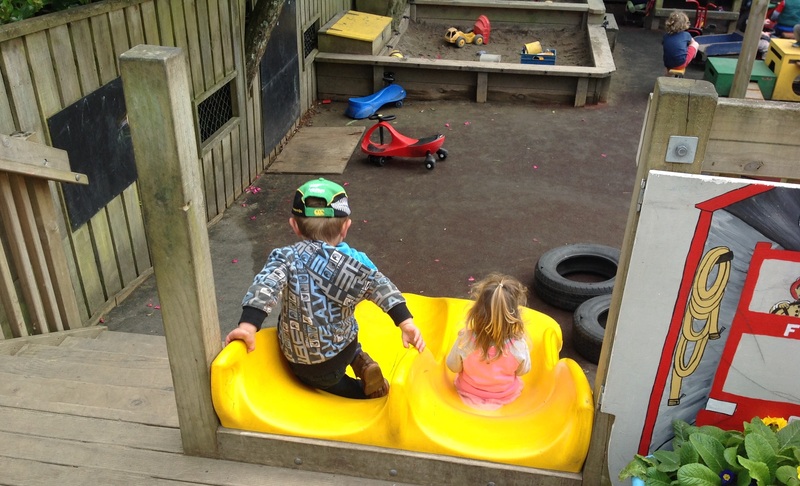 The free play includes a wide range of early childhood experiences such as sand, water, ‘messy’ play, carpentry, bikes, blocks and construction, dress-ups, cooking, playdough, puzzles and mathematical games. Children are encouraged to resolve conflict peacefully, and clear behaviour limits are set. 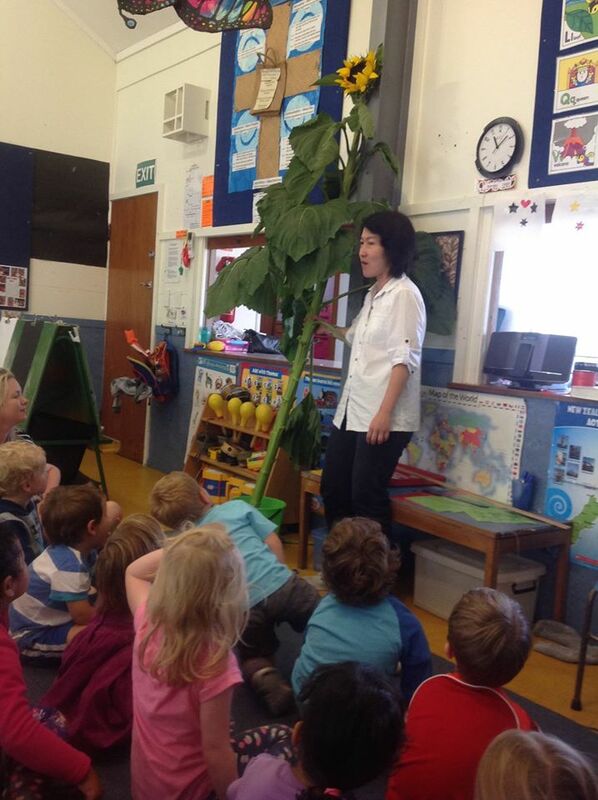 >Grace Kindergarten was started by the Onslow Community Church as a community venture, and was officially opened on 6 July 1994 by the then Govenor General of New Zealand, Her Excellency Dame Catherine Tizard.